Volvo welcomes the Swedish government’s proposal for a new premium to support the market introduction of electric buses from 2016. The premium would amount to a total of SEK 350 million, of which SEK 50 million would be paid out in 2016 and thereafter SEK 100 million per year from 2017 to 2019. “This is obviously extremely good news. Sweden is positioning itself at the forefront of electric bus technology and this investment will speed up the electrification of Sweden’s bus transportation system. The introduction of a premium for environmentally friendly buses would support Volvo’s technological advances in the area of electromobility. We currently hold a world-leading position in this area and are continuing to develop our cutting-edge Swedish technology for export,” says Håkan Agnevall, President of Volvo Buses. Volvo is a world leader in hybrid and electric bus technology, and launched its first hybrid bus in 2009. Today, the company has sold more than 2,200 Volvo hybrids worldwide. 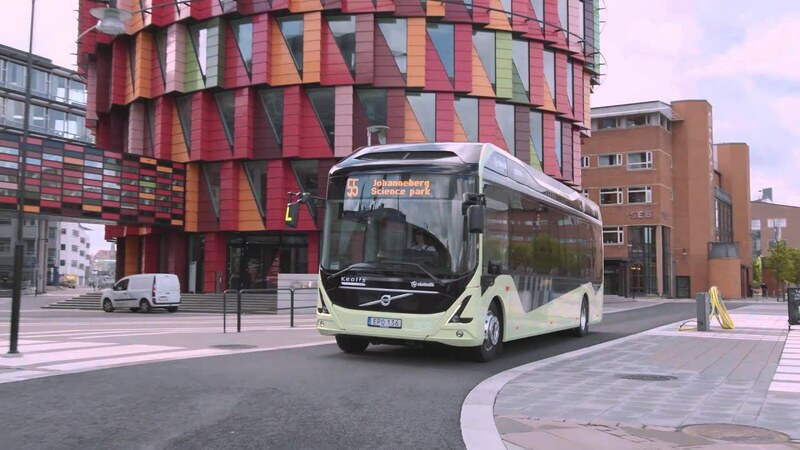 Sweden’s first electric bus line – Line 55 in Gothenburg, which comprises three fully electric buses and seven electric hybrids, all from Volvo – has been operating since June of this year. The end station at Chalmers Lindholmen University College is located indoors, an achievement made possible thanks to the noiseless, emission-free buses. “Noise is one of the biggest health problems facing the world’s major cities. Electric city buses are both noiseless and emission-free, and we are convinced that electrification of public transport systems in cities is the right path toward sustainable transport solutions,” says Håkan Agnevall.